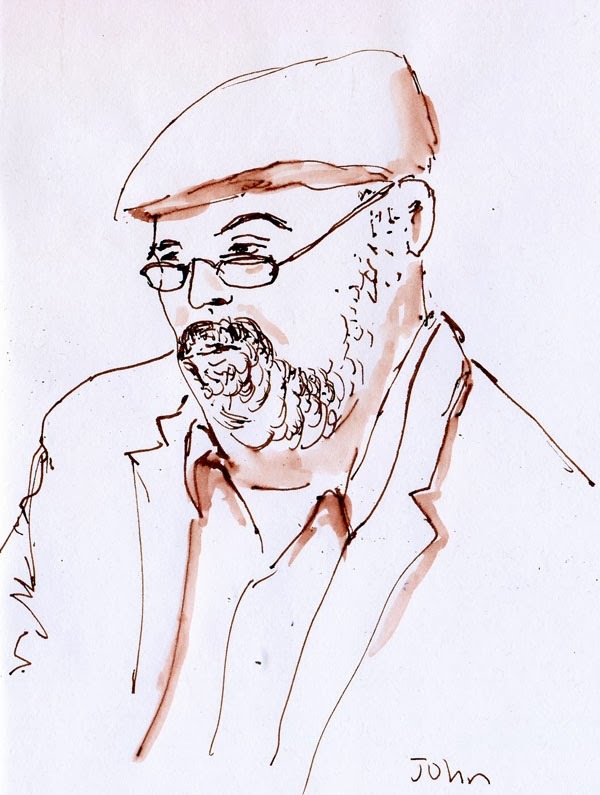 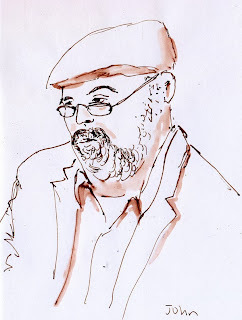 Last night was the Third Thursday Artwalk in Edmonds, so I joined a bunch of other Seattle Urban Sketchers at Café Louvre to greet visitors viewing the “Urban Sketchers Celebrates Edmonds” exhibit and sort of be on exhibit ourselves as sketchers. 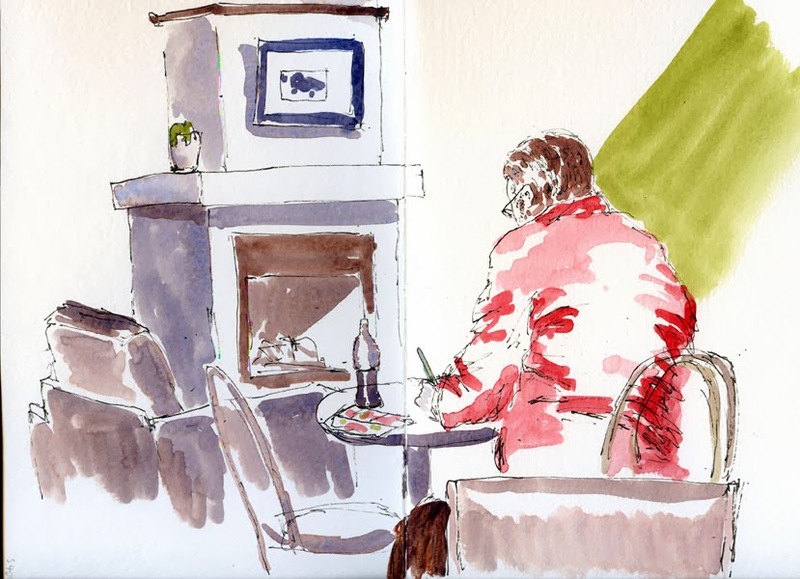 We were competing with the Seahawks game for local attention, so it was a quiet evening, and most of us ended up just sketching. 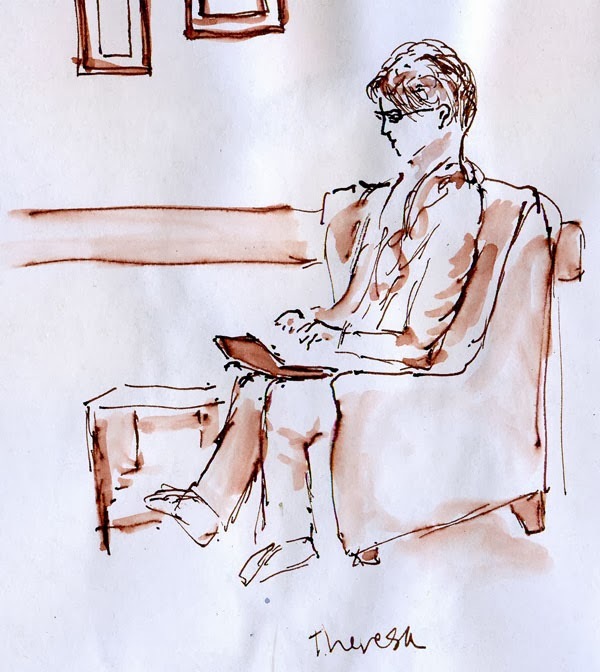 I warmed up with a sketch of Teresa Lawson and then a portrait of John Koppe (Gail Wong's husband, who was tracking the Seahawks game on his iPad). Then I moved to the other side of the café to sketch the fireplace and Mark Ryan sketching probably the fireplace.